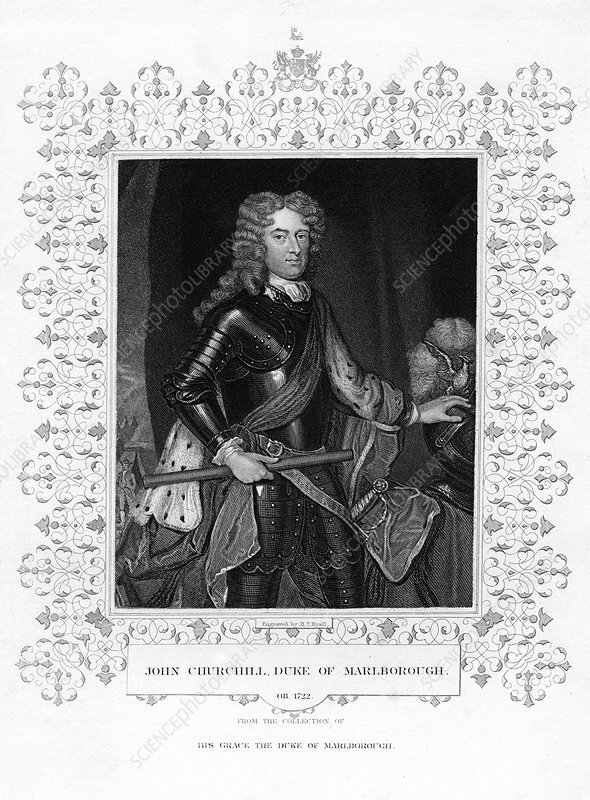 John Churchill, 1st Duke of Marlborough, English military officer, (19th century). Marlborough (1650-1722) commanded the British and allied forces in the War of the Spanish Succession early in the 18th century. He won a series of victories over the French including Blenheim (1704), Ramillies (1706), Oudenaarde (1708) and Malplaquet (1709). Artist: Henry Thomas Ryall.